The December month and the 2013 year has officially ended (at least from a trading perspective) so let us see what the charts look like. Monthly charts: attempting a breakout at 6300-6400 levels.... strong resistance here. Last 2-3 attempts have failed. Deep support at 4500-5000 levels. Quarterly charts: breakout from triangle (not perfect) will be bullish. Of course... this view from academic perspective. Not easy to trade nifty like this. Filter is average daily volume is more than Rs.5 crores. Results are shown in YTD% column... ignore other columns. NIFTY trades rangebound... trend is up and will reverse below 6100. Overall market is very rangebound so difficult to comment on moves. 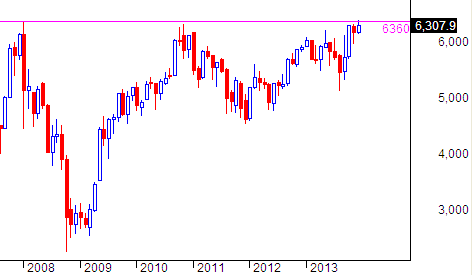 NIFTY closes at weekly high.... bullish sign. But VIX is still dropping indicating more complacency (nothing can go wrong...). Sideways trading for past 3 days... expiry was a mute affair with selling seen at 6300 levels. Lower range is 6250... say 6200. Since markets have not tanked or corrected, we can assume previous trend, i.e. UP, to continue. Writers won this DEC series as nifty closed below 6300. Now next month, tentative figures indicate support at 6200 and resistance at 6500. In other words, option writers do not expect these levels to cross. So that makes the trading strategy quite obvious (unless their positions shift which we will anyway know). Markets take a pause....Last 2 days we are having rangebound trading with positive advance decline. Normally we should have a reversal at this point but the prior trend is not so strong or long (time wise). Difficult to comment much at this point. Intraday levels are posted on charts. Some signs of selling at higher levels. Last 4 days move is a channeled move meaning a corrective move to previous fall. This means that markets might start correcting now. However advance decline and VIX is not supporting this view. CRUDE OIL possible buy signal... holding 6000 is bullish. On daily charts, nifty gained 1.7% and closed at the highest level this week. The weekly close was also 1.7% which means all gains came on Friday. Charts point to possible formation of a higher swing low at 6100 levels. Holding this level coming week will be bullish. On the other hand, if markets close below this level this week, it will mean a lower swing high has formed. If you had gone on a vacation in SEP and come back... you would have missed nothing as a positional trader. NIFTY today is exactly where it was 3-4 months before. Above ROC shows nifty has gained barely 3% in 20 trading days and 4% in 50 days! 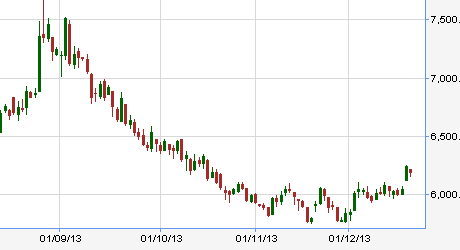 The first was on 9-DEC when the VIX gave a double whammy and dropped almost 15%! After 6 days of decline, markets closed nicely in positive. Swing low at 6100 (roughly) is now important. We need close above 6260F for strength.... intraday not being able to sustain above 6220F will lead to weakness. 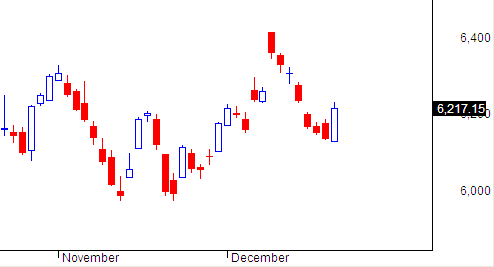 Within the correction and the subsequent rangebound trading, nifty has formed an outside day. Normally this is considered bullish but the previous bar is very small so this pattern should be viewed with some suspicion. The 5 min charts depicts the market where we had a nice open but close near day's low. It is almost 10.30pm and I realised I have not posted an update so here is a quick one. Today's very small bar is indicative of bulls lending whatever support they can at lower levels. After 5 days of continuous decline a pullback is very much in order. Whether this will lead to formation of a 'lower swing high' is something time will tell. COPPER: bullish if it can sustain above 460... immediate resistance 470 and then strong rally. NIFTY closes at weekly low and loses 230 points off the weekly high. We have a sequence of 4 continuous days of lower highs and lower lows. We had a gap down opening on almost all days this week. The initial start of weakness was apparent when markets opened 150 points gapup on Monday and sold off immediately. We used this warning to exit all long positions and this was done before 10am on Monday. NIFTY opened gap down and closed 1% in the negative. The closing has come near a support area of 6200. A bounce is in order here but if this does not materialise and we have a fast break of 6200, then problems for the market. The overall nature would then be changing from buy on dips to sell on bounce. Weekly charts should be very interesting tomorrow. 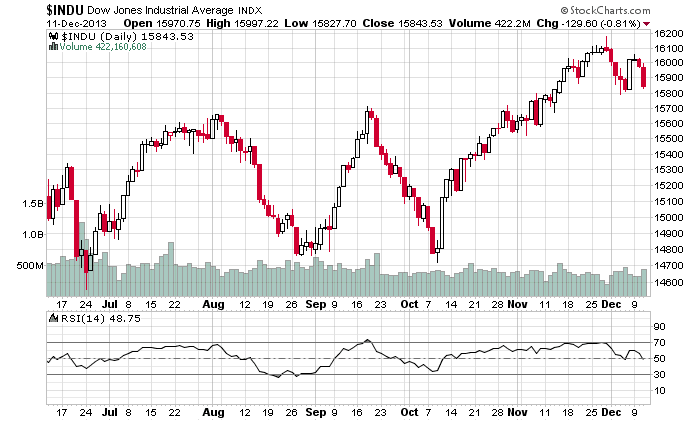 DOW JONES forms a lower swing high at 16050. Break and close below recent swing low at 15800 can lead to start of a bigger correction. Note support at 15800. RSI is at 50... a support area. NIFTY is taking its own sweet time to come down... the slower pace of correction is a bullish sign. On a different note, VIX also declined indicating lack of any fear within this correction. We might have a possible buy signal in USD GOLD as it has managed a nice close above 1250. On the flip side, broader trend is down and RSI has already hit 50 so this might limit gains. The correct thing is let GOLD form a swing high and then buy on close above this swing high. The corresponding buy above level for INR GOLD is 31000. Despite an adverse advance decline ratio, I am still bullish on the markets. This is because of a continuous fall in VIX (6% today) and increasing put writing at 6000 levels.... I am hopeful this will increase to 6200-6300 levels. Drop in VIX implies that even if you bought puts yesterday, you would not have earned today. NIFTY closes at new lifetime high. The closing was however towards the day's low as the high made in first 5 minutes was never crossed. In fact, the first 5 min bar showed a long upper tail which is indicative of selling. Advance decline was negative even as nifty closed 1.7% in the positive. Markets are currently up 1.4% but VIX has dropped 18% (now 14%). This has led to a peculiar situation where markets have rallied but option buyers have lost. The culprit is VIX which this time again has helped option writers. In other words, even though markets are up, option writers have not lost. Biggest losers are those who bought out-of-money calls AND puts on Friday... they have lost both on calls and puts. Just got a call from someone.... SGX NIFTY which I rarely track is up 200 points at 6510. Trend is already up so blog followers should be making some fantastic money on the breakouts posted here from time to time. Let's see... we should be alert for profit booking as people who have missed this rally will now suddenly become confident to enter. NIFTY holds to yesterday's low and closes at weekly high... this is a bullish sign. VIX is marginally up so not an issue. Advance decline is marginally positive. Overall trend is positive. Testing a new commenting system from Disqus... Facebook users can now directly post comments. NIFTY breaks out from range but closes at day's low. The closing was above the range which is a good sign but closing at day's low indicates selling at higher levels. On the plus side, VIX dropped by 8% thus showing diminishing fear at current levels. Last 2-3 days witnessed a substantial increase in VIX - this has a direct implication on option pricing and makes option expensive. Higher VIX implies greater risk or fear so option writers charge higher premiums. VIX is reflected in option pricing via something called implied volatility. It is something every trader should know and not trade options unless one is thorough about ABCs of option pricing. NIFTY correction... market still buy on dips? We have the start of what looks like a minor correction. Fall in VIX and increasing open interest at 6000 put implies limited downside. Advance decline was flat so we did not really have any selloff. This can change if decline persists for more than 2-3 days. NIFTY closes at upper end of range.. depending on your bias, you will be bullish or look at this as an excellent shorting area as you are close to a stoploss. Interesting chart... trend is down and will reverse above 1400. Immediate support 1200... next support 1000. NIFTY closes at highest level of the trading range... it has marginally closed above the recent swing high. Option writing points to support at 6000 and resistance at 6500 this series. This implies possible bullishness. On EOD charts, nifty closes near upper end of trading range. Closing near weekly high is usually considered to be a bullish sign. Led by global clues, markets had a strong gapup opening but failed to cross the high formed in first 5 minutes. Closing was near open though markets were up almost 1%. Markets continue trading in a range with no clear bias. Trading range is 5970-6220 going by recent swing highs and lows. $GOLD likely to bottom out? 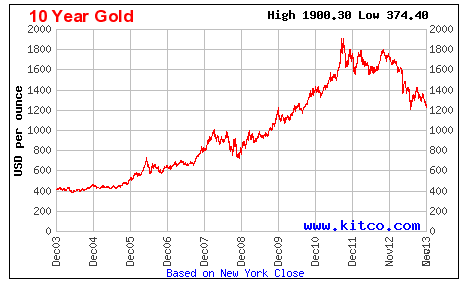 Check out this chart from StockCharts.com for $GOLD... it is nearing support levels. RSI is also near oversold/ support regions. On EOD charts, nothing has changed. 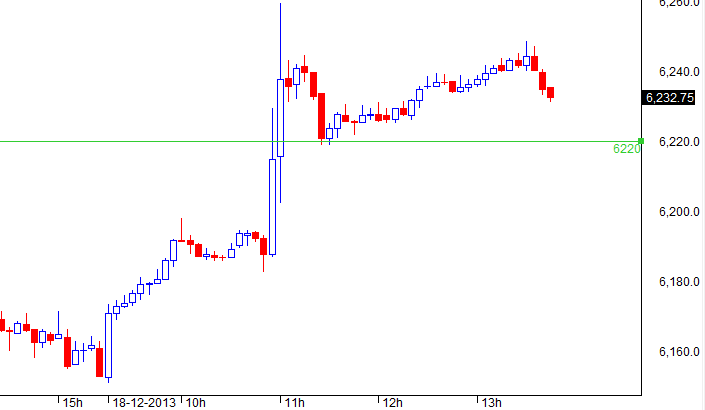 NIFTY traded within yesterday's bar forming an inside bar. The broader range remains at 5970-6220; nothing much may happen within this range though day traders might be able to make some trade if charts favour. If you are long, your SL is 5970 spot... if you are short, your SL will be 6220 spot. NIFTY closed 2% in the positive. Trading range is 5970-6300. It was earlier remarked that holding 5970 would be positive and markets gave a rally accordingly. A defensive stock or a sector is one which tends to remain stable under difficult economic conditions. Defensive stocks include pharmaceuticals, food, tobacco, oil, alcohol, and utilities (gas, water, electricity). 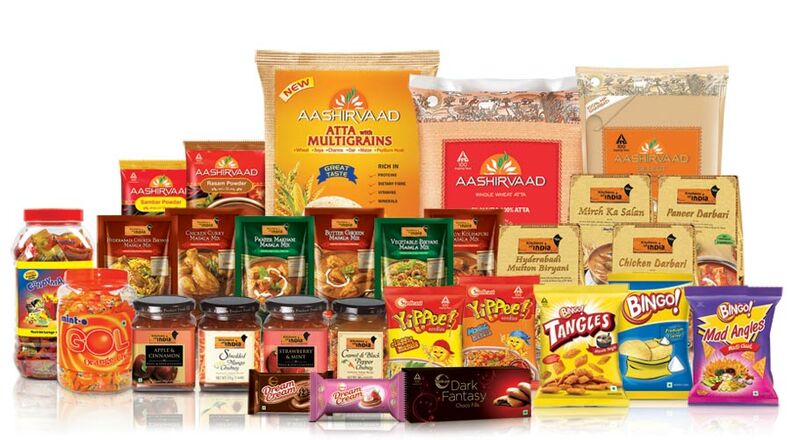 These stocks hold up in hard times because demand does not decrease as dramatically as it may in other sectors. While trend is down we are seeing signs of buying coming in at lower levels. The regions of 5950-6000 and specially 20000 on sensex will give good support. Incidentally this region also corresponds with recent swing low so it is somewhat like a double bottom support. Markets continue correction... next support is at 5970 or 20000 on the sensex... the latter is likely to be psychologically more important at this point. Admittedly, this is a minor one and I am probably jumping the gun as I call this. But nevertheless it now adds far more clarity to the market patterns than before. Another 1-2 days of decline will confirm this. Within this downtrend, nifty trend has reversed to upside. As of now, I don't know if this will be a new rally or not. Now the overall trend is mixed. The reason is the correction from 6300 to 6000 was bigger/ larger than the previous rally... this act itself signifies a trend change. After 7 days of consecutive declines, markets closed in the positive. We had a strong gapup opening practically above previous day's highs but a closing near today's low. Had the closing been near day's highs we could have had a superb morning star pattern... this is a reversal pattern and would have been reliable in the current context except for the closing near open. We have now had 7 days of consecutive declines... this tells us about the nature of this correction. We never had 7 days of continuous rally though! Last 2-3 days, option writers have switched to writing calls. Highest open interest is now at 6300 call. This means writers do not expect level to be crossed this expiry. NIFTY closes at new 20 day low and also gives a sell on 20 day kplswing... it closes below 6100 and 6030 swing low. Also, this is the 6th day of continuous decline. Now by swing theory, recent rally starting 6080 is completely negated... this means trend has reversed. On the other hand, markets are near 6000 where we have good evidence of substantial put writing (there was an increase in open interest today). NIFTY closed below last swing low confirming downtrend. However, considering the fact that we have another swing low nearby and the strong put writing at 6000, I will wait for a close below 6000 for confirmation of start of downtrend. 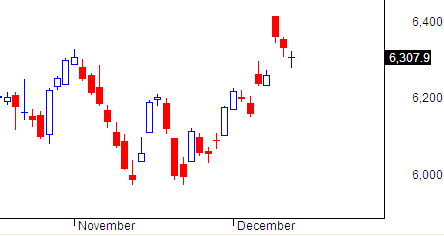 On daily charts, nifty closed in the red for 4th consecutive day. It is however still holding above the swing low of 6080. Close below this will mean trend reversal. Markets closed in the red today... after 2 days of correction, this is the first day where we are seeing evidence of buying followed by selling at higher levels. 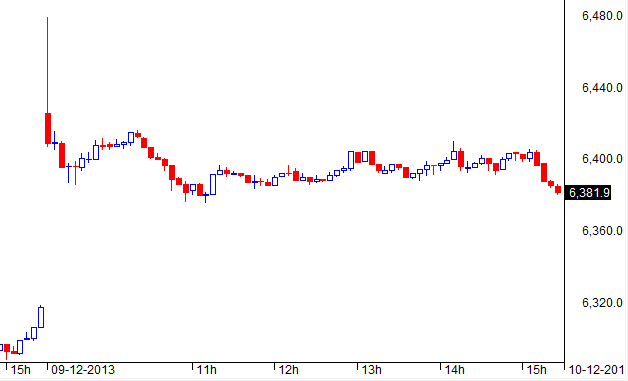 This is reflected in the EOD candlestick chart (upper tail) and also intraday charts. Formation of an upper tail after a mild correction is usually bullish. Option writing points to support at 6000 and resistance at 6400. Today markets closed in the red ... this is the second negative closing after 4 UP days. Advance decline was positive which is a good sign. Broader trend is up above 6080 spot... this is the recent swing low which also happens to be very close to previous swing low at 6000. Today markets closed 1% in the red ... this is the first negative closing after 4 UP days. Advance decline was positive which is a good sign. NIFTY trend up with swing reversal level at 6080. Substantial put writing support exists at 6000. As of now, market is still a buy in dips market. Breakouts will persist in stocks by rotation.. maybe difficult to play nifty. 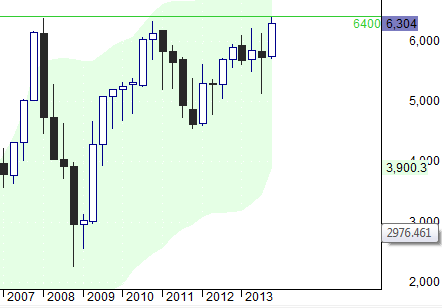 NIFTY closes at 52 week high... now lifetime high of 6340 spot is within striking distance. Couple of things: advance decline has been flat for some time and VIX is dropping showing diminishing fear (bullish view). On the other hand, bears may interpret falling VIX as increasing complacency (bearish). Option writing points to support at 6000 level. The "AFTER" is a very important part of the trade and is identified using candlestick patterns. Very often similar candlestick patterns or formation have completely different implications. The keyword here is "context". So a pattern which is bullish in one context can be bearish in another context. Which type of a trader are you? Greedy Traders: They trade too big and risk too much because their only goal is the easy money. They usually end up blowing up their account. New Traders: They have no idea how the markets work so their only goal should be knowledge. New Traders do well to stay students until they have done their homework. Rushing in to make money without risk management, a winning method, the right mind set, and a trading plan will result eventually in failure 100% of the time. Position sizing answers the question - how much quantity should you buy of a stock. The answer is crucial to risk management. Determining how much of a currency, stock or commodity to accumulate on a trade is an often overlooked aspect of trading. Traders frequently take a random position size; they may take more if they feel "really sure" about a trade, or they may take less if they feel unsure. These are not valid ways to determine trade size. A trader should also not take a set position size for all circumstances. Many traders take the same position size regardless of how the trade sets up, and this style of trading will likely lead to losses over the long run. Dark pools: The trading volume created by institutional orders that are unavailable to the public. The bulk of dark pool liquidity is represented by block trades facilitated away from the central exchanges. We know that a stock having a higher weight in the index can cause a bigger move in nifty as compared to a stock having low weight. 1.It is very difficult for a fund manager to outperform the market on a consistent basis (hence the mandatory disclosure that past performance is not indicative of future performance). With an index fund, all the manager has to do is invest in the index stocks in same ratio and let the market do the rest. This is a three day bullish reversal pattern consisting of three candlesticks - a long-bodied black candle extending the current downtrend, a short middle candle that gapped down on the open, and a long-bodied white candle that gapped up on the open and closed above the midpoint of the body of the first day. The opposite of this pattern is the "evening star"... this indicates bearishness and is reliable when formed after a strong uptrend. Jesse Livermore was a highly visible stock trader and speculator for almost fifty years. He was famous for making and losing several multimillion dollar fortunes during his professional career. 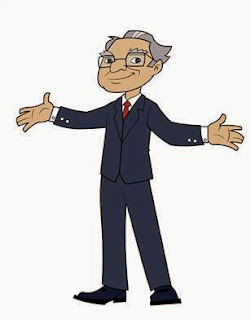 He is most famous for his book "Reminiscences of a Stock Operator"... this is often considered to be a trader's bible and has been a must read for all traders and investors over the many decades. 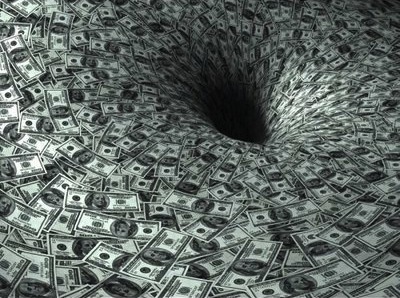 A Businessman was deep in debt and could not see any way out. Creditors and Suppliers were demanding payments. He sat in the park, deep in thought, wondering if anything could save his company from bankruptcy. "I can see that something is troubling you seriously". "I believe I can help you". "Take this money, meet me here exactly one year from today... and you can pay me back at that time". We have all heard this "buy on dips" argument... after all if a stock has fallen down so much, how much can it fall? This is an example of how the human brain attaches more importance to losses and not to the gains. 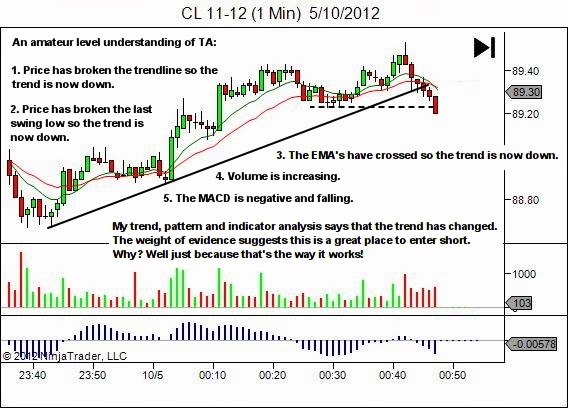 http://www.yourtradingcoach.com - An excellent site for those who like to learn or improve their trading strategies. Visit their articles section and read these. Technical analysis is the study of price using charts in order to "anticipate" their future performance.